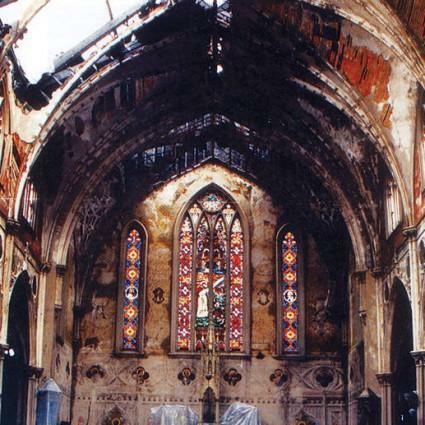 After St. Peter’s Church suffered a massive fire in January 1997, EverGreene restored the damaged interior and returned the sacred space to its former glory. 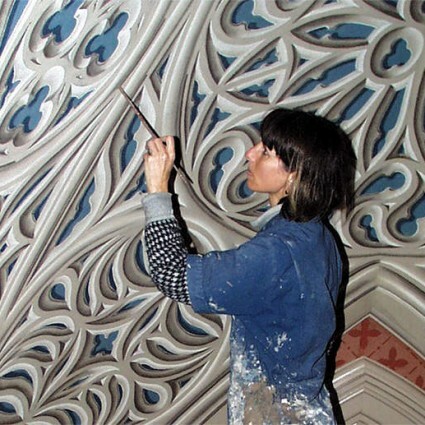 The swirling Gothic tracery across the vaulted ceiling and over the side aisles was recreated as trompe l’oeil decorative panels on canvas. 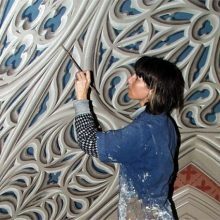 Surviving sections of the walls with intact decorative painting were conserved by injecting adhesives and consolidants. 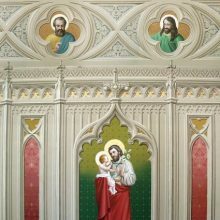 Stenciling, lettering, and gold-leaf highlights were applied to the walls, arches, and plaster ornament to match the historic treatment. Finally lost portraits of saints and Stations of the Cross around the nave and chancel were reproduced in a style consistent with the originals.